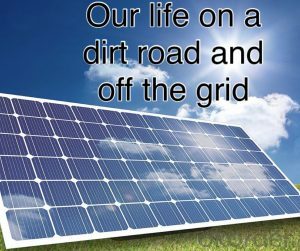 The days are getting warmer and longer which is good news for the ‘off the grid’ lifestyle. 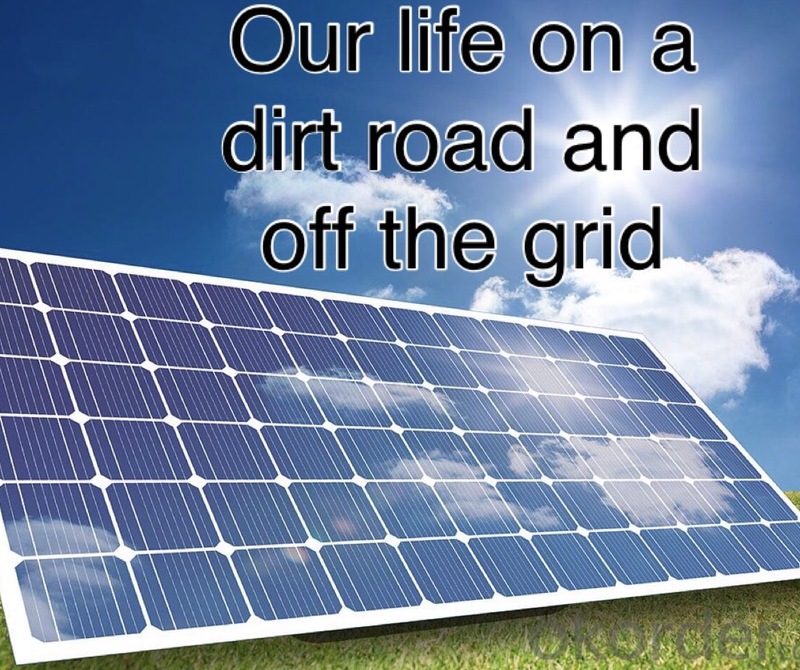 There is now enough sunshine and solar power to charge the batteries for later use. It’s quite rare now that we use the generator. We could now use more electrical appliances in the house, if necessary. I love October! It’s the month that the garden really wakes up and comes to life. The bearded iris are blooming and looking amazing. 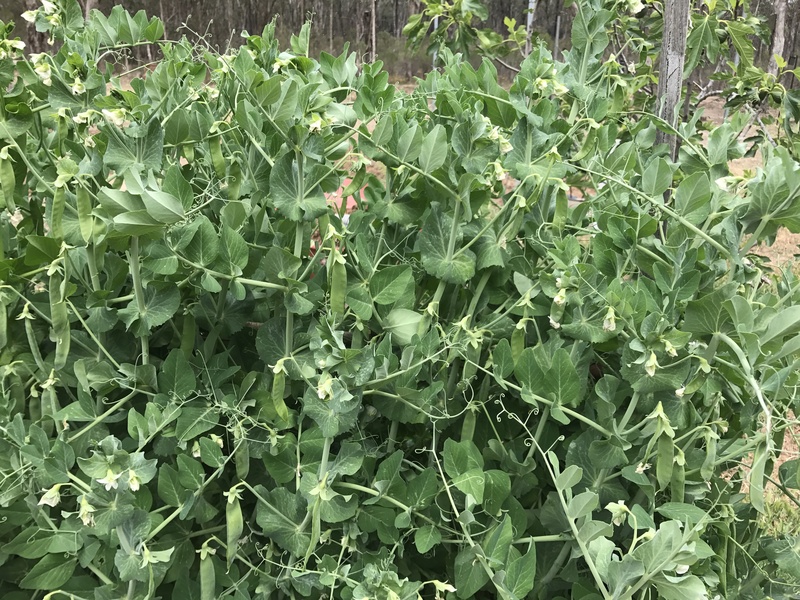 They have a short flowering period each year, but their showinesss makes it worth the wait. 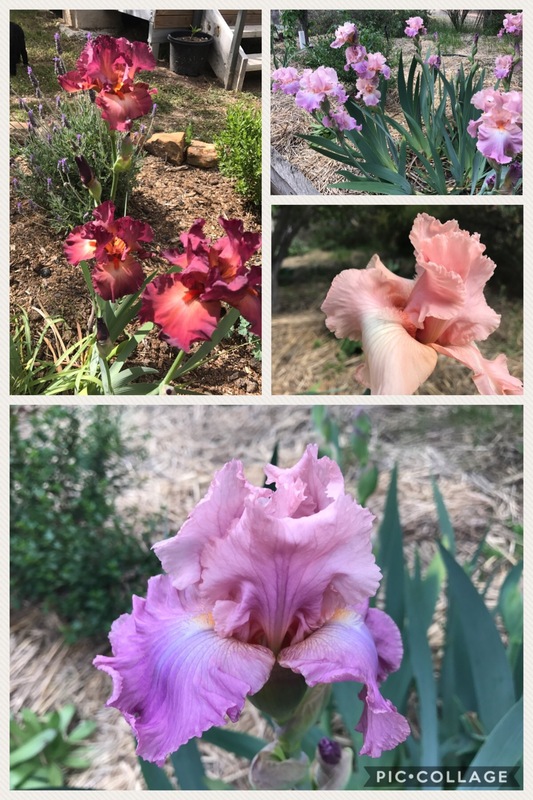 It’s such a pleasure to walk around the garden when the irises are flowering. I never tire of looking at them. The roses are only just starting to flower. My favourite rose of the moment is Pierre de Ronsard. 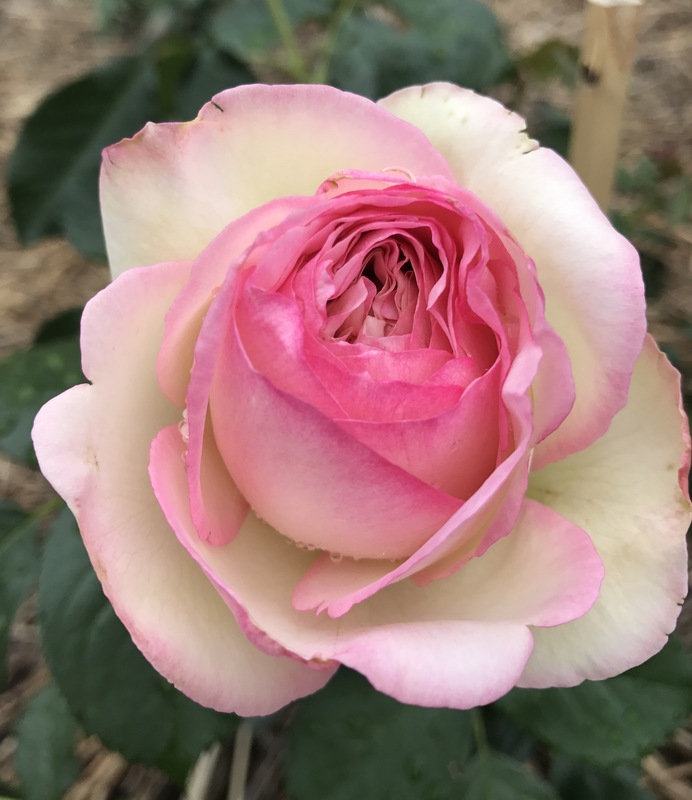 We only planted this one earlier this year and already it’s rewarding us with its beautiful pink and cream tones. Our roses are all very young, so flowering is limited this year. Even so, they are all producing beautiful flowers. 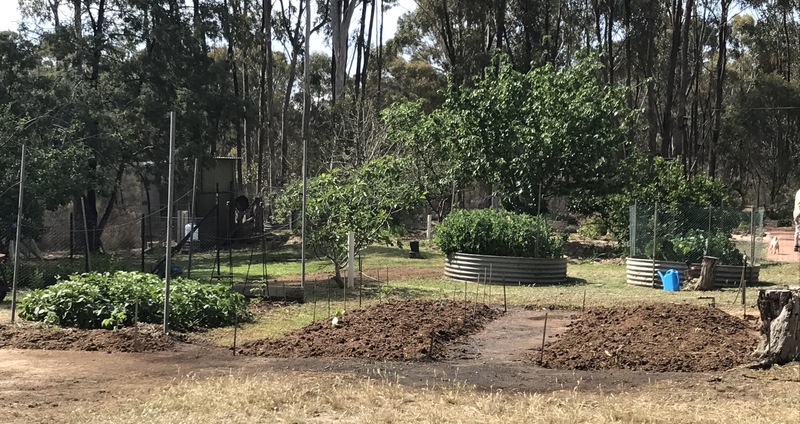 During October, we’ve spent hours in the vegie garden, making three new, large rectangular beds. Already most of the area has been planted out, with space left for late spring plantings. So far, we have planted four varieties of tomatoes, lettuce, cucumber, carrots, spring onions, squash, pumpkin, zucchini, capsicum, eggplant, silverbeet, beetroot, potatoes and celery. 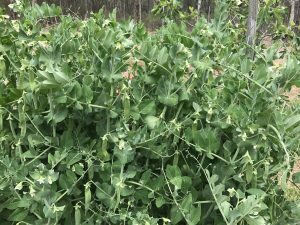 We are harvesting cabbage, cauliflower, silverbeet, lettuce, beetroot and peas. We have had more than the usual encounters with wildlife, during October. 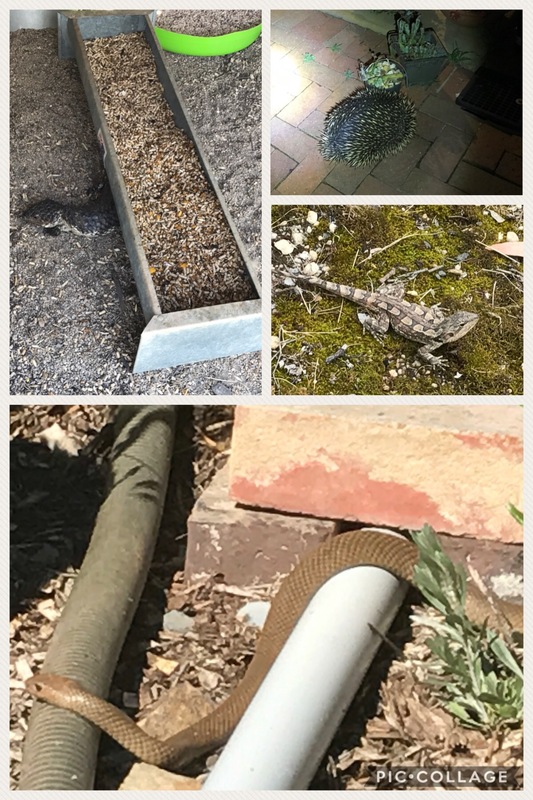 There was a brown snake quite close to the back door, that has me worrying about the dogs. I’ve been making loud noises in the area, in the hope it encourages him to move on. There was also a gorgeous echidna at our door at 3am one morning. Also it seems that everywhere we walk in the garden we are almost stepping on some kind of lizard. 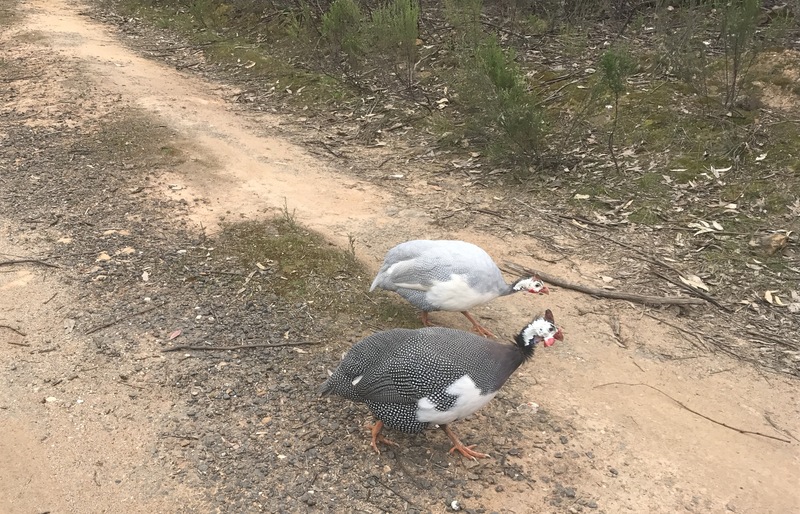 We have two guinea fowl, both females, or so we thought until just recently. It seems that one of the girls is a boy and it looks like the female has laid fertile eggs, so we may have babies later in November. Thanks Leanne. You can b sure if baby guinea fowl arrive, there will be many many photos. Your lifestyle sounds so interesting and while your days are getting warmer and longer, ours are getting cooler and shorter. Here in Alabama our fall and winter seasons are usually mild but BRR it’s 40 degrees here right now!